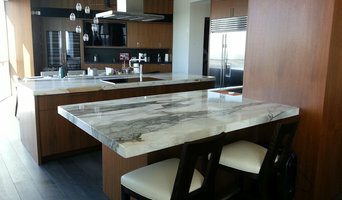 Fabrication and installation of solid surfaces, Granite, Marble, Quartz counter tops flooring, backplashs, sinks. Giannola's Tile & Pavers Inc. offers paver work, driveways, pool decks, outside lanai, tile work, backsplashes, floors, bathroom floors, showers, kitchens and common areas. Family owned and operated, over 7 years experience. We provide top notch quality work, communicate with our clients threw every step of the way. Customer service is very important to us. We like to get to know the customer and make them feel comfortable that with whatever project we take on they completely happy. You’ve discovered Floor Center of Tampa Bay, the area’s greatest resource for the latest trends in tile decor. Homeowners, contractors and designers have access to rare and unique products straight from Miami in stone, porcelain and ceramic tile, mosaics, laminate, wood and kitchen counters. Flooring Center of Tampa Bay opened this warehouse-style store to offer the newest creations produced in the tile world….as soon as they hit the market! We are a specialty retailer in all types of hard surface flooring, offering the most unique selection of tile, wood, stone and new materials…at the best prices. Our owner spent decades working with tile importers and distributors world-wide. 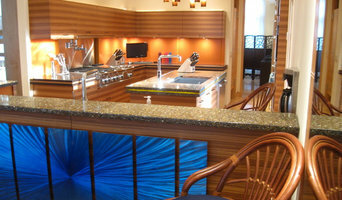 Based in Miami, he was privy to the latest trends and newest creations in the tile world. For years, he tried to sell the new products to stores in Tampa Bay, but most stores refused the new trends, explaining that “those” products would probably not sell in Tampa. As a result, Tampa Bay customers would not even see the latest products until a year or more after they debuted in Miami or New York and were proven to be big sellers with builders and designers. Tampa Bay lagged behind in having access to the newest products and styles. Not anymore! For many years we have been helping people obtain their dream kitchens and bathrooms! Our partnerships with factories from around the world enable us to directly import our products and give our customers the best prices in the market. Our design team can help you design the kitchen and/or bathroom that you’ve always wanted…on YOUR budget. Sai Home Creations also has closets! In addition to the closet line we have been carrying, we are now a distributor for Closetmaid! We are a proud to be an affiliated business with the Better Business Bureau! We are a locally owned and operated business in Clearwater, FL. Five Star Stone, Inc. has been in business since 2005, focusing on providing a quality product to every single customer. 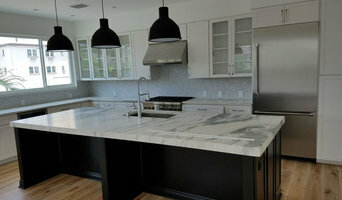 Specializing in the fabrication and installation of granite, quartz and marble countertops. Creating a distinctive and functional kitchen or bath environment requires careful planning. AGS Stone / Tampa Bay Kitchen and Bath will work with you each step of the way ensuring that your dream transformation does not become a nightmare scenario. We realize that details matter and will work closely with you during each project phase including design, product selection, project preparation and execution. Most importantly, we are committed to your satisfaction and will work diligently to complete your transformation project on time, within budget and with minimal disruption. Founded in 1991, Mont Krest Stone is the premier distributor of natural and engineered stone in the state of Florida. We are passionate about what we do, and committed to bringing you the very best product. For nearly two decades, fabricators, designers, architects, and contractors have recognized the quality and vast selection Mont Krest has to offer. Currently our product line housed in our indoor 50,000 sq ft facility includes: granite, marble, onyx, quartzite, soapstone, Hanstone, Hanex Solid Surface and Geberit, Danby Marble, DryTreat, sinks, Fleurco shower doors, and worlds most exclusive line of semiprecious stone. In addition to our product line, are service is second to none, providing convenient delivery and hours of operation. We invite you to come and visit, to hand select your material that you can proudly display in your showroom... Your home. In addition to basic surfaces, many Tampa, FL tile, stone and countertop contractors can create and install murals and mosaics, as well as add decorative edge treatments to countertops. They also repair or replace surfaces in the event of chips, cracks, stains or other damage. Many tile, stone and countertop professionals also install shower pans, radiant-heat flooring systems and other common components of surfacing jobs, often working in tandem with Tampa, FL plumbers or other professionals. Here are some related professionals and vendors to complement the work of tile, stone & countertops: Interior Designers & Decorators, Architects & Building Designers, General Contractors, Kitchen & Bath Designers, Design-Build Firms. Find a tile, stone and countertop contractor on Houzz. 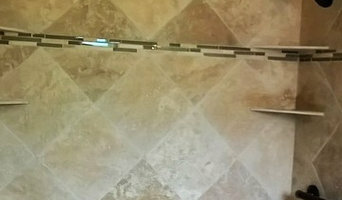 Narrow your search in the Professionals section of the website to Tampa, FL tile, stone and countertops. You can also look through Tampa, FL photos to find tile, stone and countertop projects you like, then contact the contractor who worked on it.